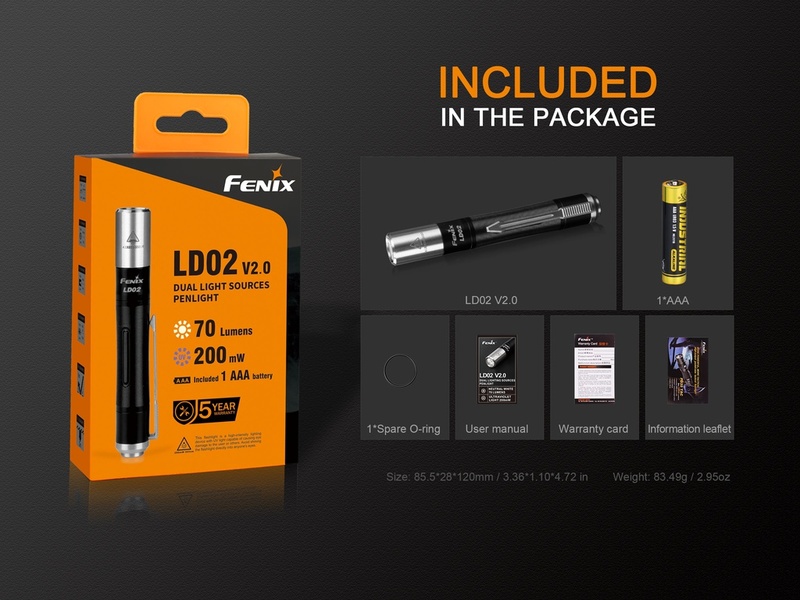 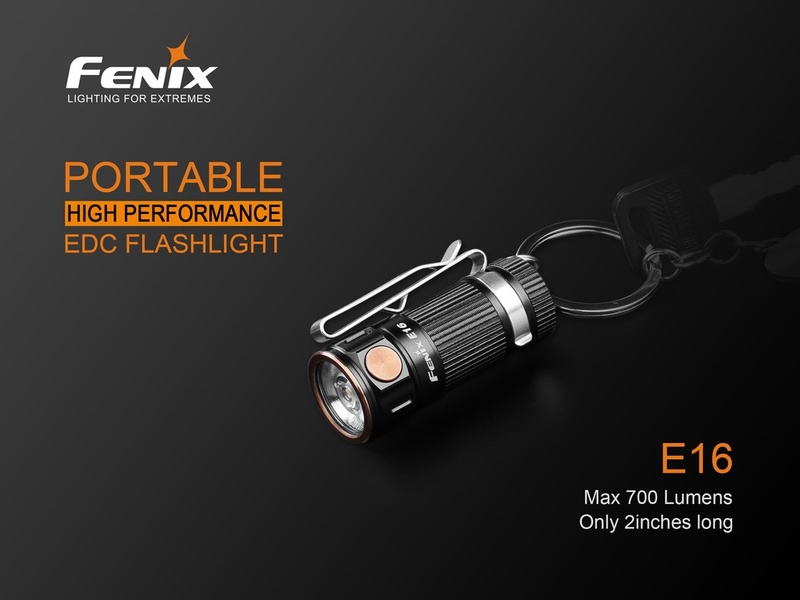 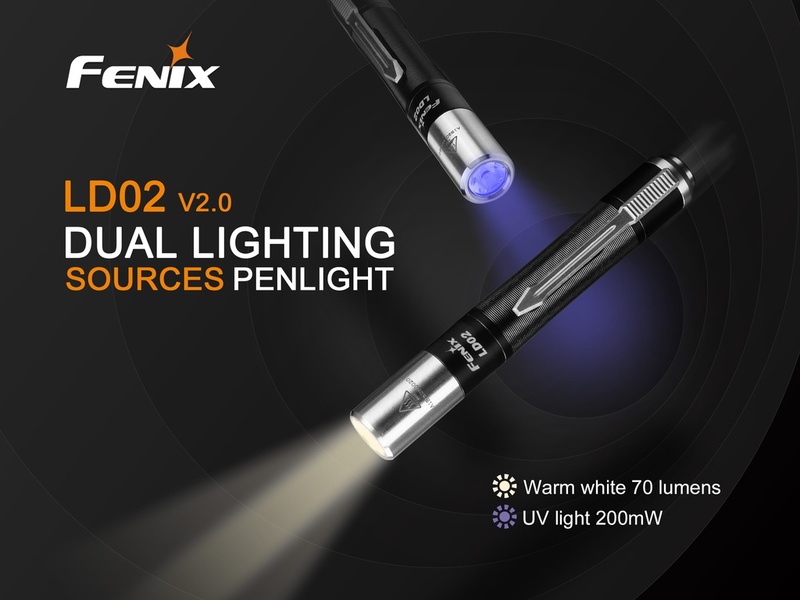 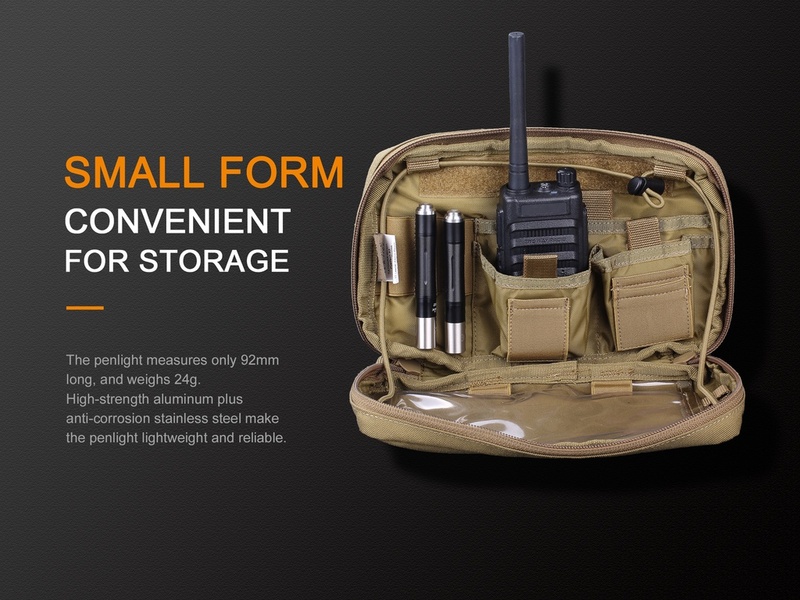 The LD02 V2.0 is a super compact EDC flashlight that features warm white and UV lights. 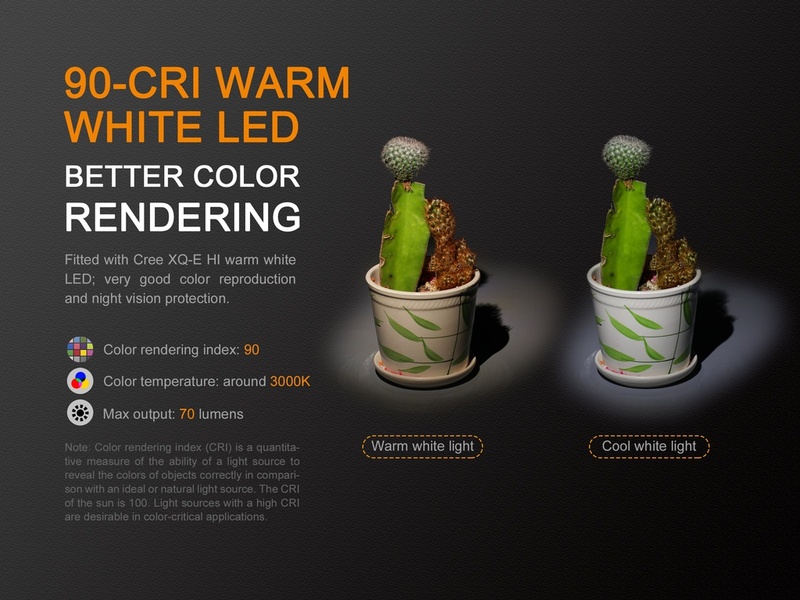 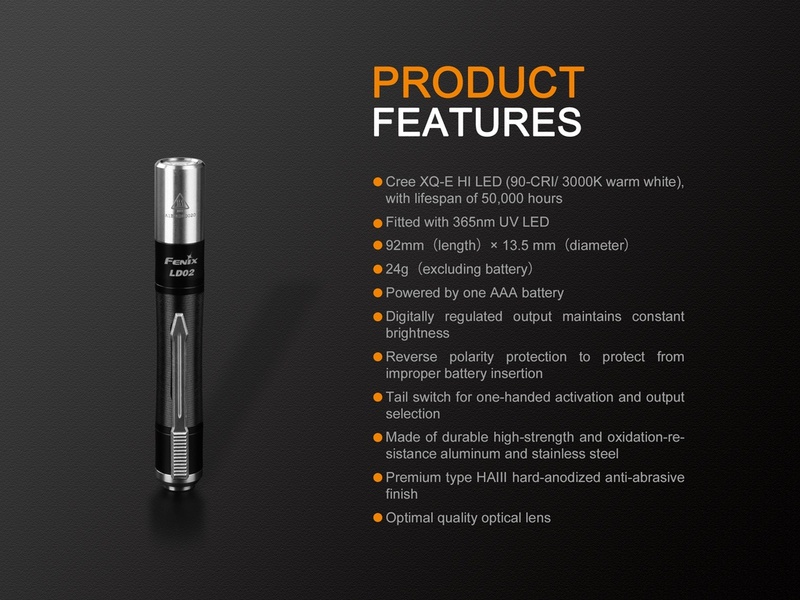 It is fitted with a 90 CRI Cree XQ-E HI warm white LED and 365nm UV. 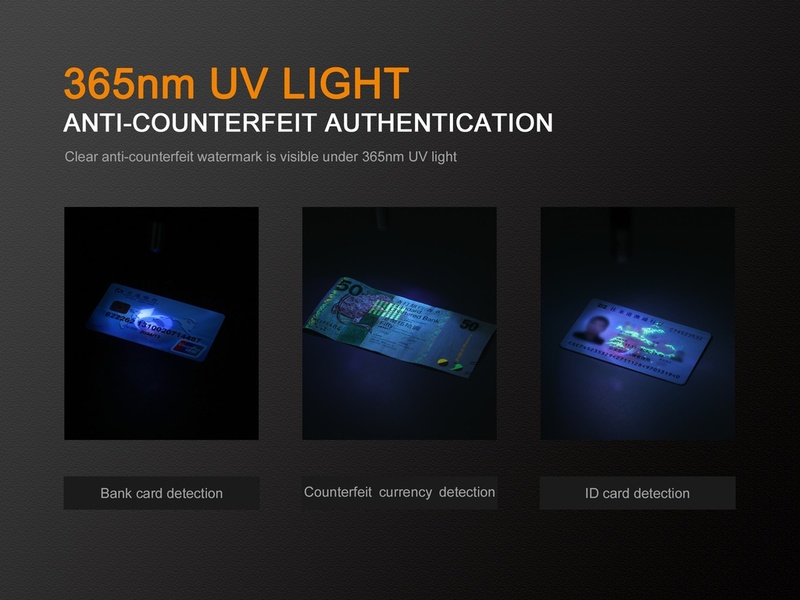 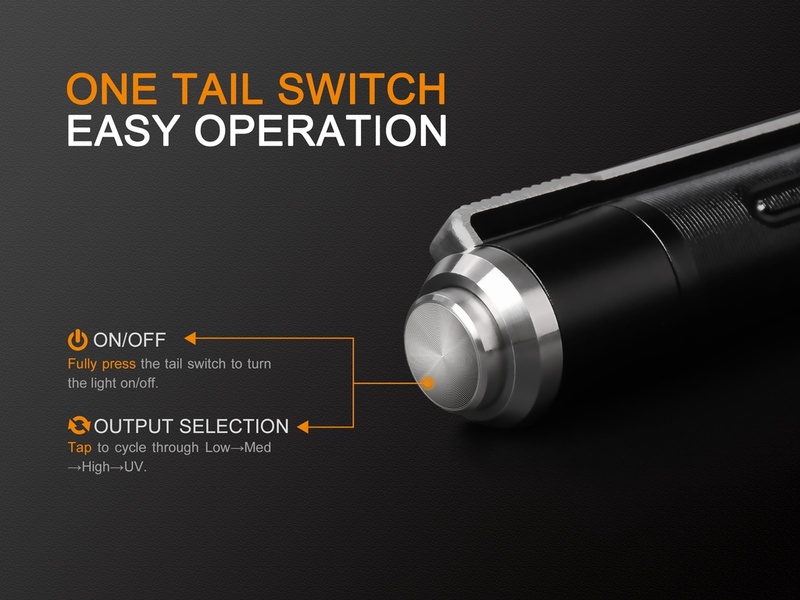 One tail switch controls three output levels and the UV light output. 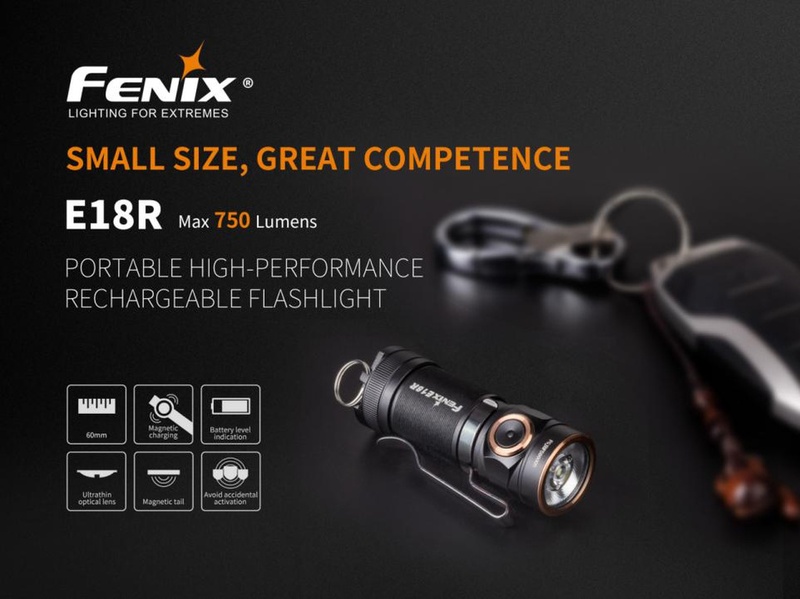 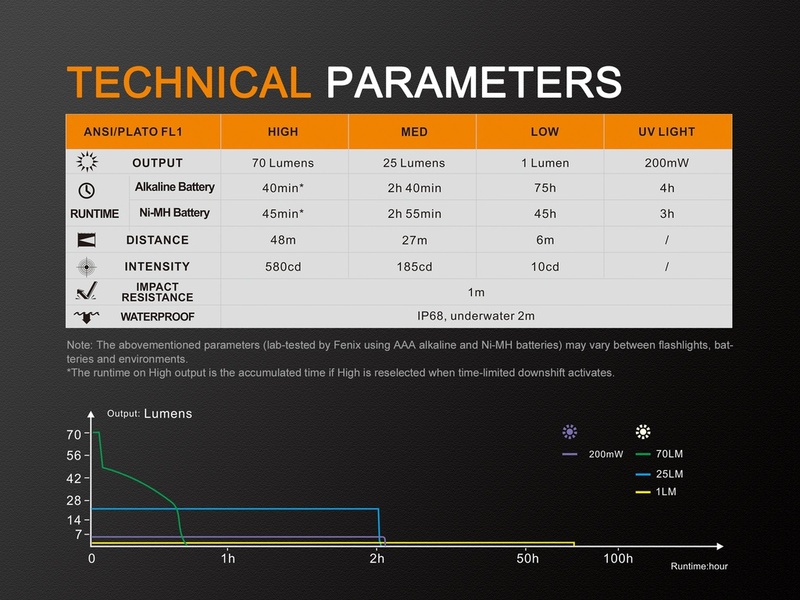 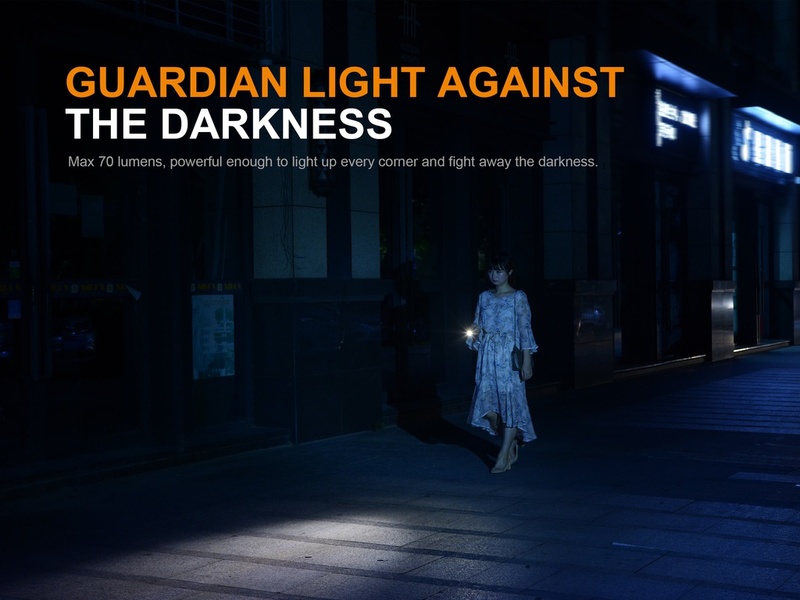 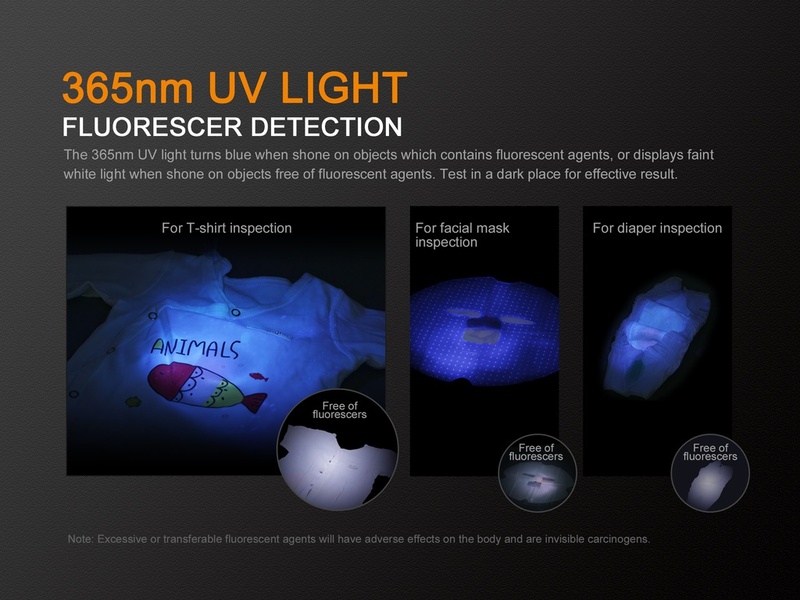 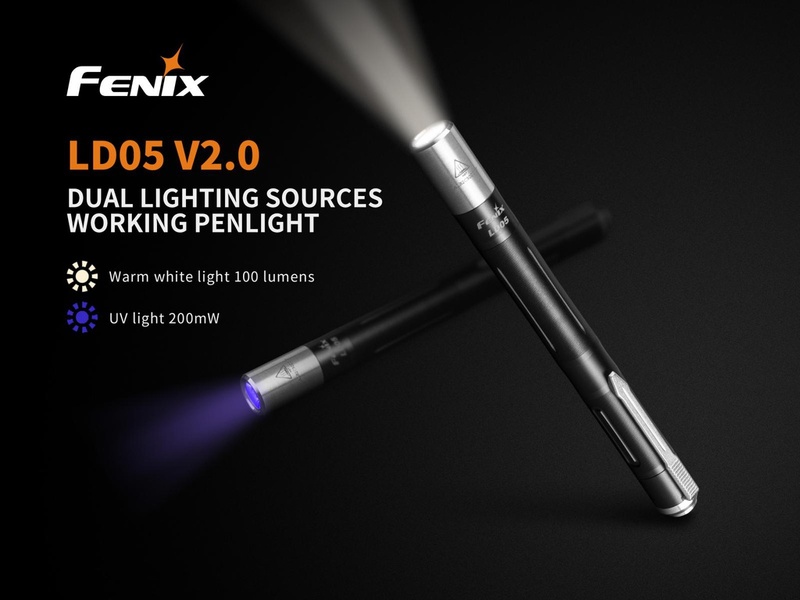 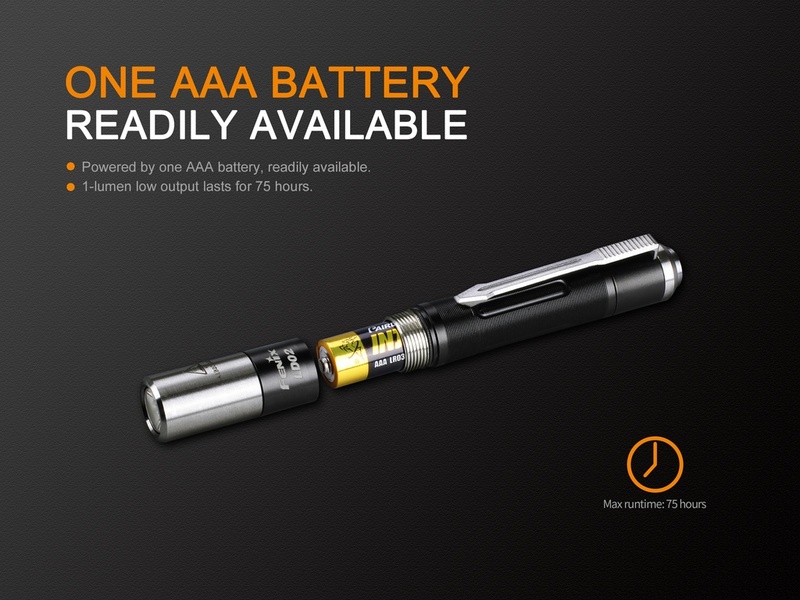 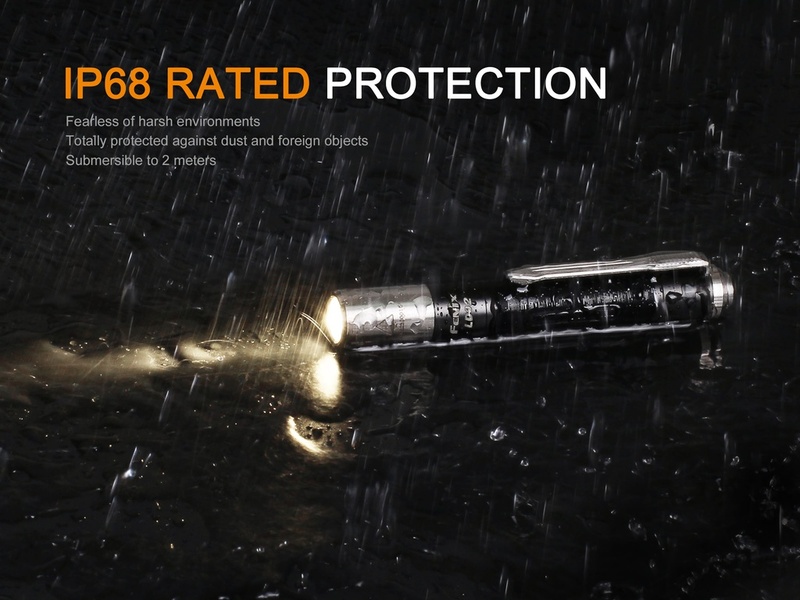 Powered by one AAA battery, the light delivers a max output of 70 lumens. 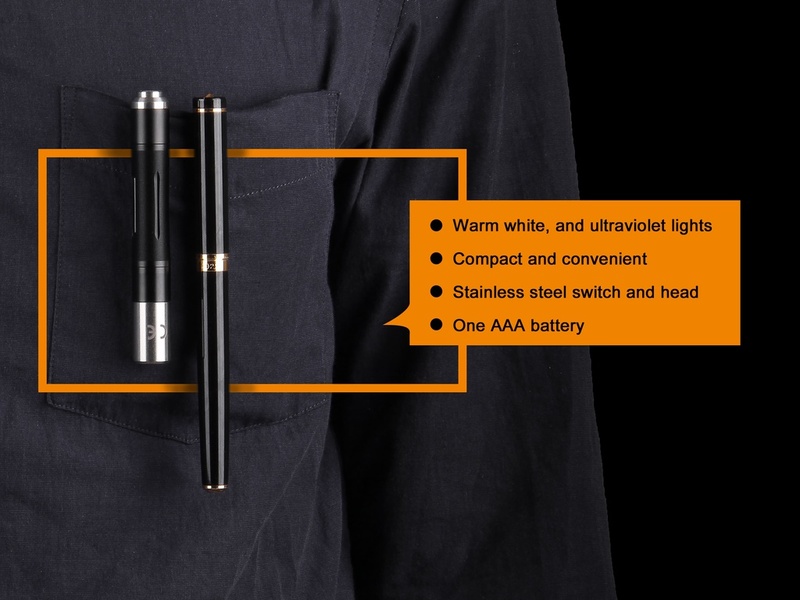 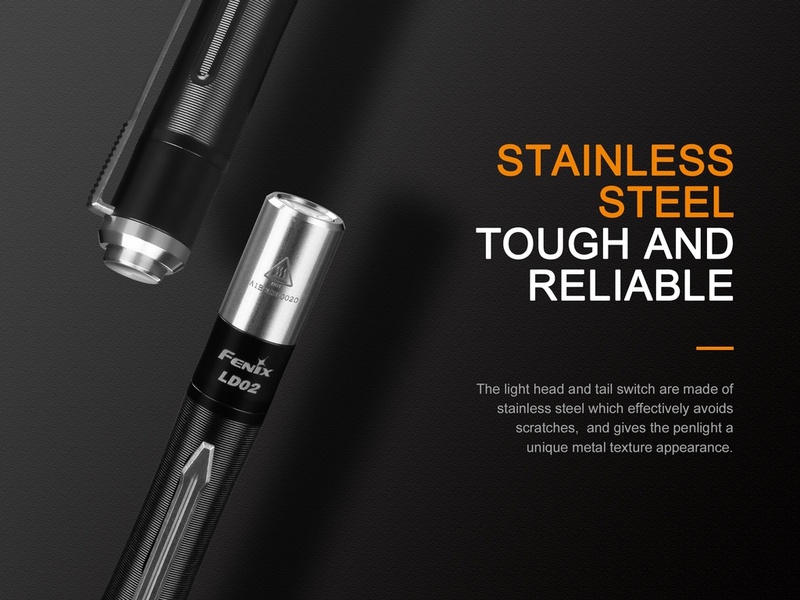 With a stainless steel tail switch for one-handed activation and output selection, and a light head also made of stainless steel, this exquisite and reliable penlight is the must-have for everyday carry, outdoor journeying and personal use.